Moving enterprise apps and data to the public cloud -- and then optimizing them post-migration -- can introduce a number of hurdles for IT. As a result, many enterprise IT shops turn to third-party vendors and tools to help simplify that process. And when it comes to choosing one of those tools, Modern Infrastructure readers had one clear-cut favorite in 2015: Cloudyn. A software as a service (SaaS) offering, Cloudyn provides a range of cloud management and monitoring capabilities that can work across different cloud computing environments, such as Amazon Web Services, Microsoft Azure, Google Cloud Platform and OpenStack. 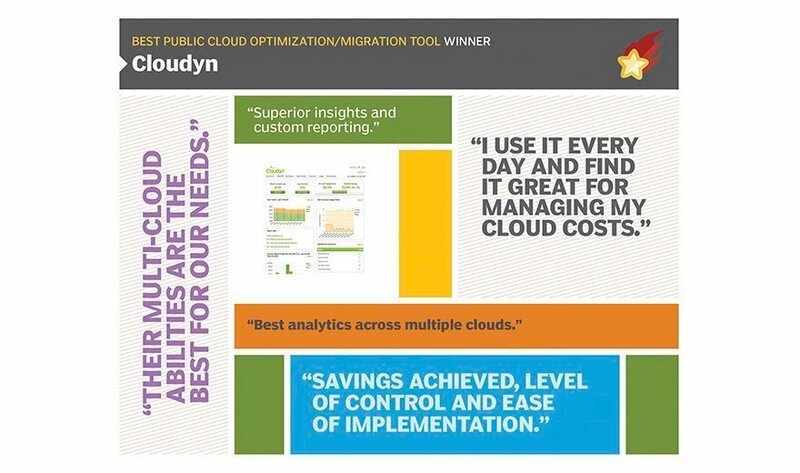 To give users better visibility into their public, private or hybrid clouds, Cloudyn offers different reporting, graphing and dashboarding tools. But in addition to helping users track cloud resources and performance, Cloudyn provides the means to monitor and optimize another vital aspect of cloud environments: cost. Users, for example, can track cloud spending by region or business unit to get a handle on who is using which cloud resources and how much, exactly, they consume. Those capabilities are crucial for AutoGrid, a provider of big data analytics for energy and utility companies, based in Redwood Shores, Calif. The company uses Cloudyn to optimize its Amazon Web Services (AWS) hosting environment to prevent and identify cloud sprawl -- especially as AutoGrid's customer base, along with the number of smart meters and sensors it monitors, continues to grow, said Tim Fewkes, head of product operations for AutoGrid. "We're spinning up big storage volumes and we try to be very nimble for our clients -- this is real-time stuff, this is big data crunching -- and because of this we needed to have an anti-sprawl tool where my system administrators… can be held accountable for the compute resources they use," Fewkes said. What cloud management and monitoring tools do you use?